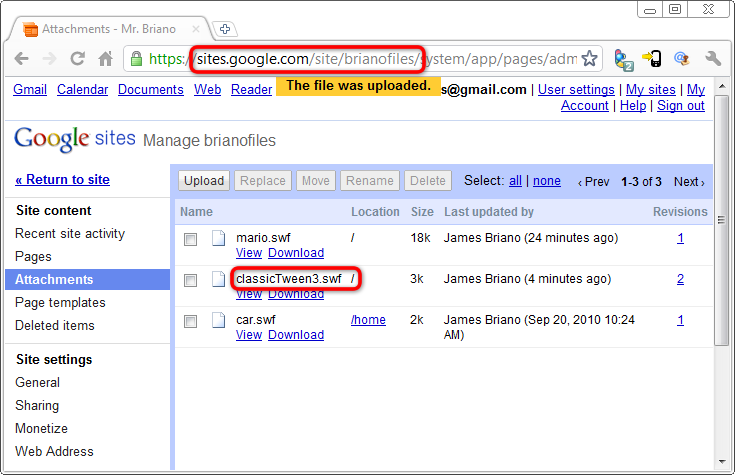 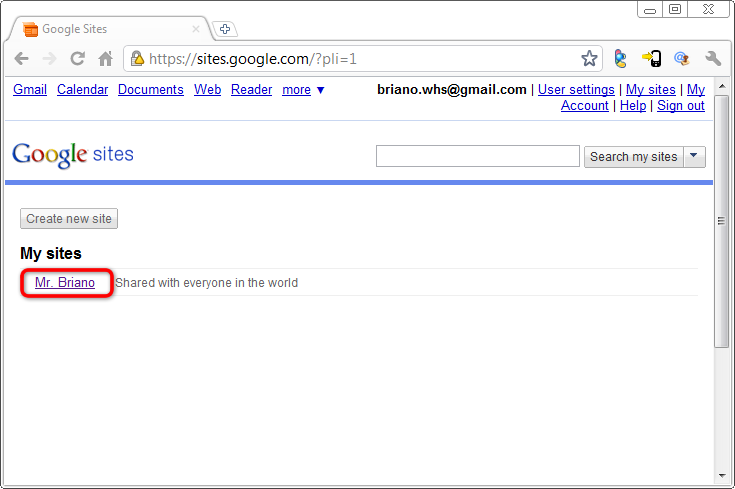 We're going to show you how to use Google Sites to host .swf files so they can be embedded in a site that otherwise won't accommodate them (like Blogger). 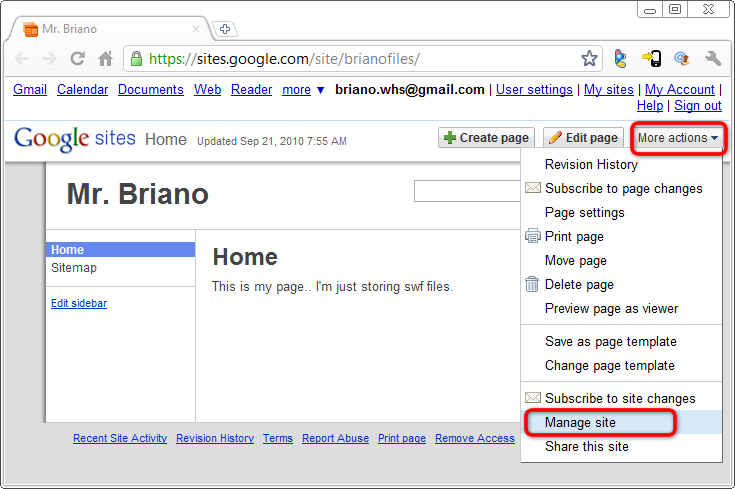 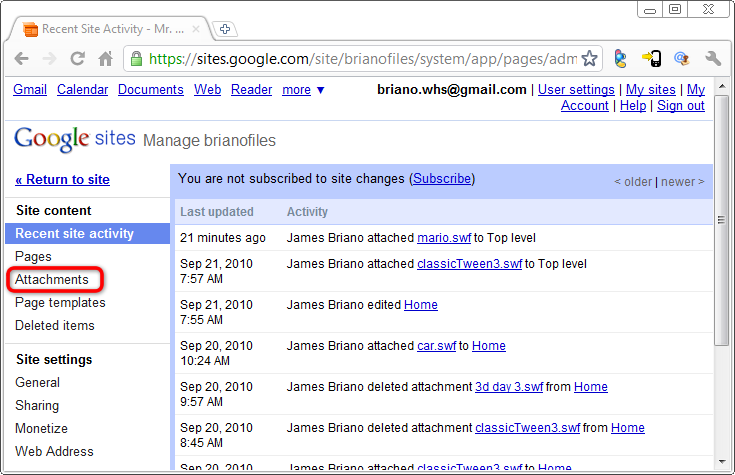 If you haven't already signed up for Google Sites, go to sites.google.com and use your Google account to create a new site. 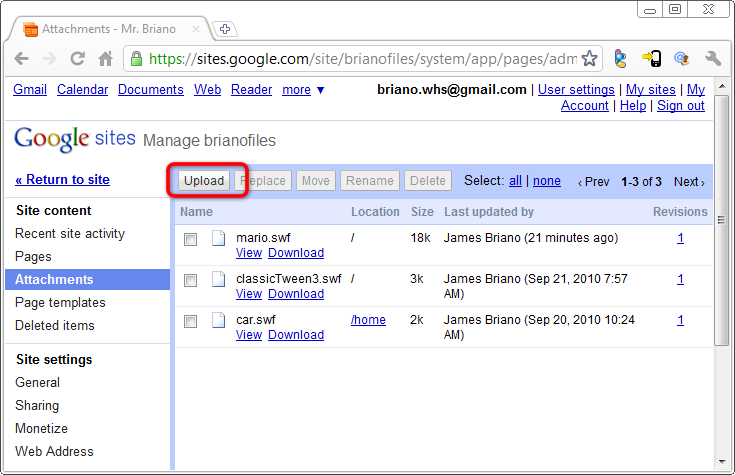 Now navigate to the .swf file you want to upload. 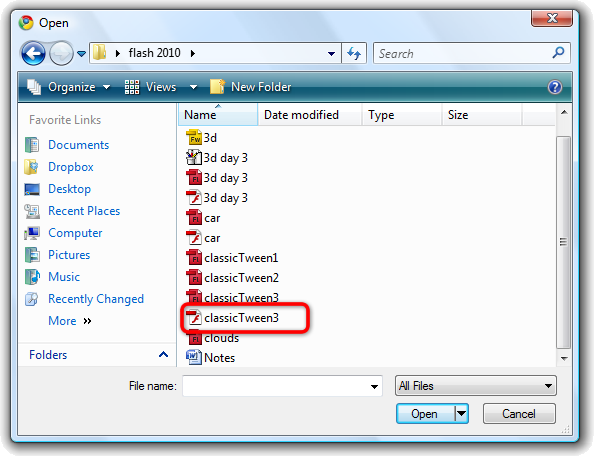 The .swf file is the white file that opens the Flash player, not the red file.